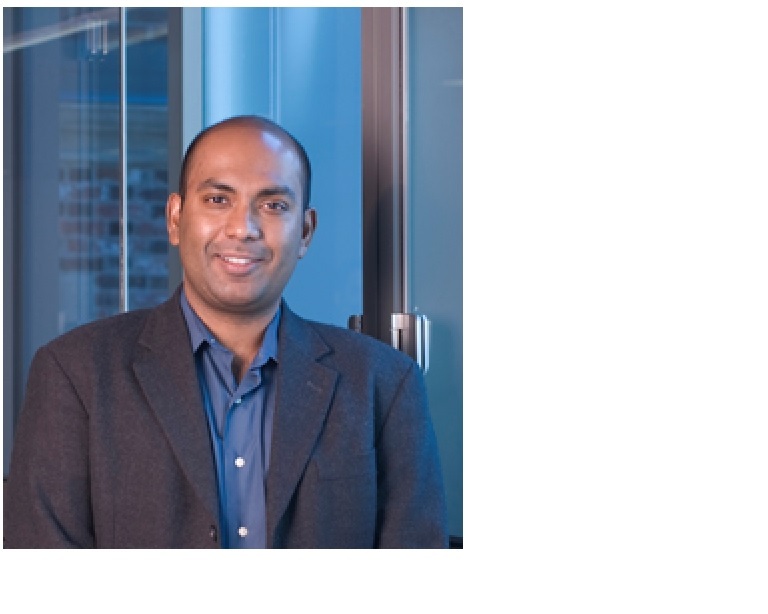 Ravi Radhakrishnan as a Associate Professor in Department of Bioengineering, University of California Berkeley. He obtained the Ph.D., degree, Cornell University, USA in 2001.From 2010-2012, Associate Professor of Chemical and Biomolecular Engineering, University of Pennsylvania School of Engineering and Applied SciencesHe was Honored in 2008, Hewlett-Packard Outstanding Young Investigator, American Chemical Society; Citation: Dynamic Coupling Machinery in DNA Polymerases, Discovering Hidden Nano-Modules in Biomolecular Function through Theory and Simulationsin 2015 Fellow of the American Institute of Medical and Biological Engineering.His Leadership Positions in Scientific and Professional Societies as Invited Member of Interagency Modeling and Analysis Group,NIH, NSF, NASA, DARPA, DOE in 2011.In 2012-Present, Insilico Oncology Consortium, Virtual Physiological Human, European Commission. Statistical Mechanics; Molecular Systems Biology; Multiscale Modeling, Nanobiotechnology, Insilico Oncology, Insilico and Systems Pharmacology. 13. B. J. Zern, A-M. Chacko, J. Liu, C. F. Greineder, E. R. Blankemeyer, R. Radhakrishnan, V. R. Muzykantov, Reduction of nanoparticle avidity enhances the selectivity of vascular targeting and PET detection of pulmonary inflammation, ACS Nano, 2013, 7(3):2461-2469. (Pubmed ID: 23383962). 15. Y. Liu, N. J. Agrawal, R. Radhakrishnan, A molecular docking study of the binding of ruthenium complex compounds to PIM1, GSK3, and CDK2 protein kinases, J. Molecular Modeling, 2013, 19, 371-382. (DOI). 16. P. J. Huwe, and R. Radhakrishnan, Computational Methodology for Mechanistic Profiling of Kinase Domain Mutations in Cancers, Proceedings of the IEEE, 5th International Advanced Research Workshop on In Silico Oncology and Cancer Investigation, 2013, pp:1-4. Open access version of the article is also available through ICCS and through VPH Institute. 17. R. Radhakrishnan, B. Uma, J. Liu, P. S. Ayyaswamy, D. M. Eckmann, Temporal multiscale approach for nanocarrier motion with simultaneous adhesion and hydrodynamic interactions in targeted drug delivery , J. Computational Physics, 2012, 244, 252-263. (DOI). 18. J. H. Park1, Y. Liu1, M. A. Lemmon*, R. Radhakrishnan*, Erlotinib binds both inactive and active conformations of the EGFR tyrosine kinase domain, Biochem J., 2012, 448(3), 417-423; 1. Equal contribution, * co-corresponding authors. (Pubmed ID: 23101586) (DOI). 21. B. Uma, R. Radhakrishnan, D. M. Eckmann, P. S. Ayyaswamy, Nanocarrier-cell surface adhesive and hydrodynamic interactions: ligand-receptor bond sensitivity study, ASME Journal of Nanotechnology for Medicine and Engineering, 2012, 3, 031009. 22. B. Uma, P.S. Ayyaswamy, R. Radhakrishnan, D.M. Eckmann, Fluctuating Hydrodynamics Approach for the Simulation of Nanoparticle Brownian Motion in a Newtonian Fluid, Int. J. Micro-Nano Scale Transport, 2012, 3(1+2), 13-20. 23. B. Uma, D. M. Eckmann, R. Radhakrishnan, P. S. Ayyaswamy, Hybrid scheme combining fluctuating hydrodynamics and generalized Langevin dynamics for nearly neutrally buoyant particle in stationary medium, ASME Journal of Heat Transfer, 2013, 135, 011011. 24. R. Radhakrishnan, Roles for Thermodynamics and Catalysis in Systems Biology: Case and Point, Editorial in Journal of Thermodynamics and Catalysis, OMICS Publishing Group, 2012, 3:e102. doi:10.4172/2157- 7544.1000e102. (Open Access). 25. B.Uma, R.Radhakrishnan, D.M.Eckmann and P.S.Ayyaswamy, Fluctuating hydrodynamics approach for the simulation of nanoparticle Brownian motion in a Newtonian fluid, Proceedings of the 21st National and 10th ISHMT-ASME Heat and Mass Transfer conference, 2012.